Crowdfunding is booming. According to Crowdfunding Beat, crowdfunding is expected to see a 26.87% compounded annual growth rate over the next four years. Forbes expects crowdfunding to surpass venture capital by the end of this year. This is great news for new companies hoping to get off the ground quickly, but there are new challenges that arise with crowdfunding. I previously covered the Pros and Cons of Crowdfunding, with the gist being that many folks who are looking to crowdfund their startups don’t really know what they’re getting into. The best way to get started with crowdfunding is to read my How to Get Started Crowdfunding: Pre-Launch Strategy. It provides you with a roadmap of what to expect and actionable items to ensure you have the best chance at success. Another great way to get started is to look at the most successful crowdfunding campaigns to learn from their successes. Obviously, success cannot be replicated, but analyzing the success of others is a good starting point. Wearable maker Pebble has had a long history with crowdfunding. The company successfully crowdfunded its first smartwatches on Kickstarter in 2012 with over $10.3 million raised. The company returned to Kickstarter in 2015 to raise $20.3 million for the Pebble Time smartwatch. 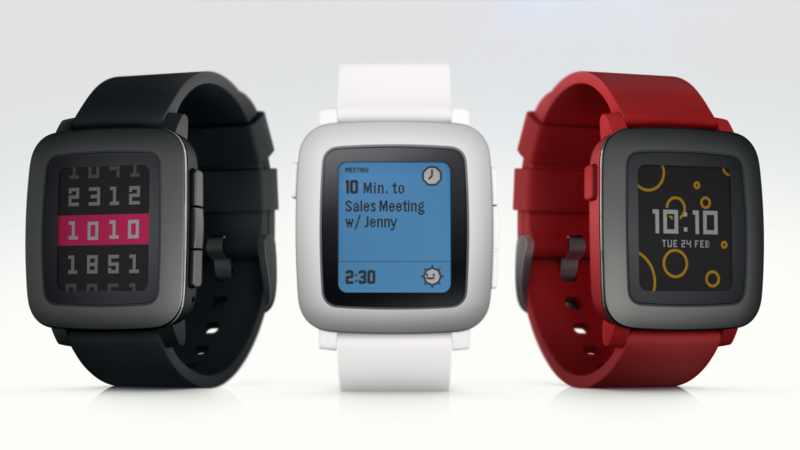 Pebble wasn’t only the most funded Kickstarter campaign in history, but the fastest growing. The company raised over $1 million in an hour during its first campaign. This year, Pebble returned yet again to Kickstarter to fund its new smartwatches: the Pebble 2 and Pebble Time 2. The new models feature heart rate sensors and updated health capabilities, which is what consumers want from their wearables. What made Pebble successful as a crowdfunding endeavor was that its product had a clear value to users. It could display notifications, last longer than any other smartwatch on the market, provide health tracking and handsome looks. Pebble will have its own struggles as interest in smartwatches wane. Growth will be slow but Pebble has a dedicated following that will advocate for the company’s products. Who knew that people would want a cooler with built in speakers, knobby tires and a built-in blender so badly? The Coolest Cooler was successfully crowdfunded in 2014 after raising $13,285,226, which was 26,570% of its original goal. But what most people know is that Ryan Grepper, the creator of Coolest Cooler, failed to bring his product to life after his first Kickstarter campaign raised only $102,188 of its $125,000 goal. Grepper came back months later and completed his second Kickstarter campaign, which was insanely successful. One reason Grepper’s first Kickstarter failed was because he didn’t have a completely working prototype that showed off all of its features. His advice to crowdfunding companies is to keep their video short (between two and a half to three and a half minutes) and to keep it customer-focused. Timing is also a huge factor, as Grepper failed to realize that launching a cooler in December would be a mistake. Launching a cooler in winter probably wasn’t the best idea to get people excited about using a cooler. His second campaign launched in the summer. Perhaps the biggest lesson learned from Coolest Cooler is not to let failure stop you. 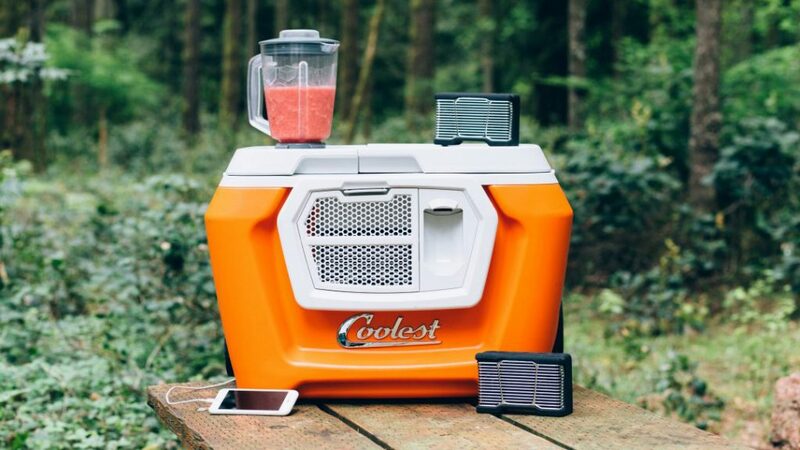 Just make sure you can actually deliver your product on time, as Coolest Cooler is currently under investigation by The Oregon Department of Justice for failing to deliver product to backers. If you’re looking for a theme among the most successful crowdfunding campaigns, you won’t find one, especially with Flow Hive. Who would have thought a bee hive would be so popular? Flow Hive let’s amateur beekeepers start their own hive and makes harvesting honey a breeze with its multiple taps. The makers of Flow Hive argue that their harvesting method is less intrusive for the bees and easier on beekeepers. To date, Flow Hive has raised $13,254,473 on Indiegogo. The campaign for Flow Hive wasn’t without challenges though. Many beekeepers took issue with how easy Flow Hive made beekeeping seem. Some beekeepers were concerned that new beekeepers that bought Flow Hive would ignore the health of the bees and not interact with them since it’s dispensing system doesn’t require users to interact with their bees. Flow Hive opened up a dialogue with customers and beekeepers to address their concerns. Being transparent about your business and product is a major key to success as backers need to trust you. At its core, BAUBAX is a jacket with a lot of pockets. However, that hasn’t stopped it from being one of the most successful crowdfunding campaigns of all time. Marketed as “The World’s Best Travel Jacket,” BAUBAX offers frequent travelers some key features like a built-in inflatable neck pillow, a pen/stylus built into the zipper, and tablet-friendly pockets. Its creators set a $20,000 goal but smashed it with over 45,000 backers pledging over $9 million. The jacket is now available in brick and mortar stores like Brookstone and online on the company’s website. Taking a look at BAUBAX’s campaign, you can immediately see why so many people pledged. The company’s travel jacket offers obvious benefits for frequent travelers and the campaign video is brilliant in that it continually builds on useful features. However, BAUBAX’s launch wasn’t without drama. Many backers complained about the long wait between backing and receiving their jackets, which is par for the course for many crowdfunded products. It’s important to maintain reasonable delivery deadlines so it’s a better idea to under promise and over deliver. Most of all, be transparent about delays and offer impatient backers something to look forward to. Exploding Kittens is a card game created by Matthew Inman, the artist behind The Oatmeal webcomic. Over 200,000 backers helped raise $8,782,571 to bring the hilarious card game to life. Inman managed to leverage his audience of loyal fans to rally behind the hilarious game. Unlike more expensive products, the $20 asking price for the game landed firmly in “impulse buy” territory, which undoubtedly helped the game’s success. Most campaigns don’t have the luxury of having a huge fan base before launching their crowdfunding campaign so it’s extremely important to have a pre-campaign strategy. You’ll need to have your social media and website set up in order to start building buzz around your campaign. Build an email list of potential backers as they will be most likely to back your project when it goes live. The OUYA Android gaming console was one of the early crowdfunding successes, raising $8,596,474 of the company’s $950,000 goal. OUYA managed to build a lot of buzz around its products, promising a compelling way to play Android games on the television. Unfortunately, no amount of buzz could have saved OUYA from imploding. The console made it to market and was sold in brick and mortar stores like BestBuy and Target but no one was buying. As it turns out, no one really wanted an Android gaming console, as most people simply played their mobile games on their smartphones or tablets. While some games lent themselves to the big screen, paying $99 to play free mobile games on your TV didn’t really make sense. Competitors like the NVIDIA Shield TV and Apple TV both offered casual gaming, but not many users used the devices for gaming. Instead, most people used them as media consumption device for watching Netflix and YouTube. OUYA didn’t adapt quickly enough to the changing market and the company eventually sold its software assets to gaming company Razer. If you wanted proof that Kickstarter is a huge platform for video games, look no further at the success of Shenmue 3. The Shenmue series began in 1999 when it was released for the SEGA Dreamcast. The game got a sequel in 2001 and disappeared until July 2015 when Shenmue 3 was successfully funded on Kickstarter. The game raised $6,333,295, exceeding its original $2 million goal. The game is currently still in development with an expected release date of December 2017. That’s a long time to wait, but that didn’t stop nostalgic fans from putting money into the project. The success of Shenmue 3’s crowdfunding campaign shows that gamers are a passionate bunch that respond to nostalgia. However, there are many crowdfunding risks for both backers and game developers. Backers will have to invest their money in a game that may not meet expectations or release dates. Many crowdfunded games have been delayed multiple times. 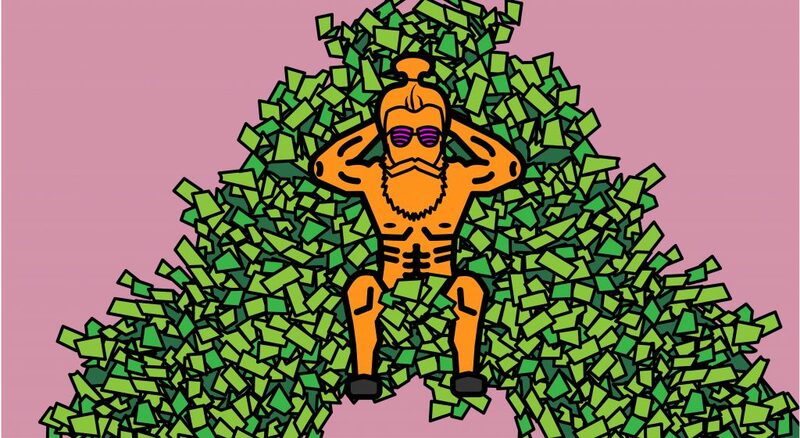 Developers will have to set realistic goals for their games and figure out how to properly spend their money, especially if the campaign generated much more money than anticipated. The death of the iPod didn’t stop PonoMusic from crowdfunding its digital audio player, the PonoPlayer. PonoMusic raised $6,225,354, smashing its original $800,000 goal. 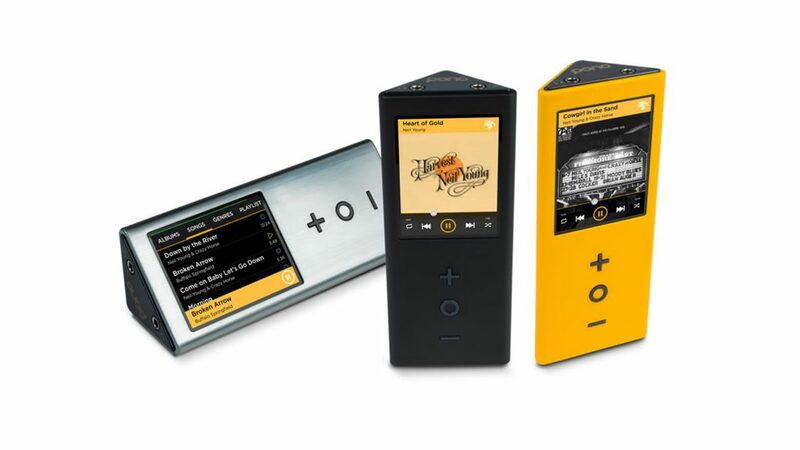 Having Neil Young’s name attached to the Pono Player definitely helped it build buzz, and its campaign page strictly targeted audiophiles that were used to spending thousands in the pursuit of good sound. Unfortunately, the PonoPlayer ended up being a bit of a flop as it failed to convince normal people that the $400 asking price was worth it for an incremental step up in sound quality. There were also a fair number of critics that weren’t convinced that high-resolution audio even made a difference. As I covered in a previous article, skepticism can make or break your campaign if you’re not prepared for it. Electric bicycles are usually very expensive (ranging from $3,000 to $7,000), but the $500 Sondors electric bike was set to disrupt the electric bike market. Sondors raised a combined $12 million between two separate crowdfunding campaigns on both Kickstarter and Indiegogo. Sonders saw a segment of the electric bike market that needed to be filled, and he filled it. While the $500 Sonders bike isn’t as elegant as the competition, its low price may be too tempting for many. You wouldn’t modify a $3,000 electric bike but many have modified their Sondors with bigger batteries and higher output motors. Crowdfunding has exploded so much that the entertainment industry has flocked to various crowdfunding platform to raise capital to bring movies and TV shows to life. One of the most notable movie crowdfunding campaigns was the Veronica Mars Movie. Like with Shenmue 3, the Veronica Mars Movie attracted thousands of backers who have fond memories of the TV show that ran between 2004 and 2007. The campaign’s original goal was $200,000 but the campaign raised $5,702,153 in the end. The movie eventually made it to movie theaters in May 2014, which was well received by most critics. Nostalgia works for crowdfunding campaigns but the final product needs to be good in order to have backers returning to crowdfund more projects. The Veronica Mars Movie also performed well because of the constant interaction and engagement that actress Kristen Bell had with the project’s backers. Fans also received merchandise for backing, which helped spread the word of the campaign while also giving fans a tangible reward.